This competition is a two-day competition, but most first rounds are held on Saturday. This competition will feature all events except pyraminx. Most events will have 2 rounds, but all second and third rounds are held on Sunday. 3x3 One-Handed will be on Sunday the 14th. 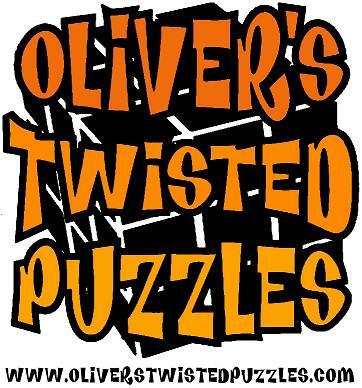 Oliver's Twisted Puzzles will be selling puzzles at the event. 3x3 Multi-Blind competitors must not compete in the following events: 4x4 Blindfolded, 5x5 Blindfolded. You are viewing the schedule for the venue University of Utah Union Building. In the past, this venue has remained locked when it shouldn't be. Don't worry, if the door is locked use the handicapped button. The Salt Lake Marathon is taking place on the 13th (first day of the competition). Here is their schedule and here is a map of the marathon. Please make sure your route to the venue does not intersect with the marathon's route. Keep in mind that the Olympic Legacy Bridge is on the University of Utah campus. It would probably be best to make sure you don't get to the Union through Mario Capecchi Drive to avoid the marathon. I would also suggest leaving early in case you do run into this and need to deal with the traffic of the marathon. Oliver's Twisted Puzzles will be selling cubes during the competition on Saturday the 13th only. Below are the groups for the first rounds of all events. The unlisted events are only one group, so everyone will be in group 1 for those events. The second table displays the groups that people are scrambling. Group Scrambling (If your name is not present, you will not be scrambling first rounds with the exception of 3x3 Multi-Blind, 4x4 Blindfolded, and 5x5 Blindfolded).